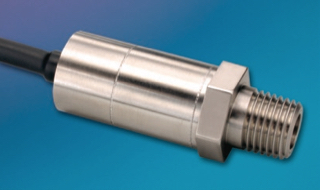 ETQ-500 Series transducers are miniature, threaded instruments. The sensing sub-assembly is protected from mechanical damage by a solid screen which has been shown to have minimal influence on the frequency response of the sensor. Incorporation of a Kulite proprietary electronics module within the main body of this product allows for operation from an unregulated power supply ranging from 12 ± 4VDC or 28 ± 4VDC with reverse polarity protection available upon request.